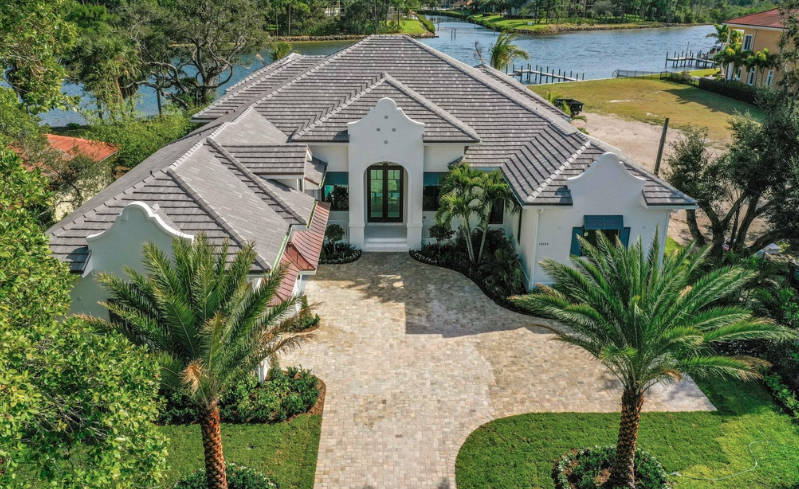 This newly built waterfront home is located at 14694 Palmwood Road in Palm Beach Gardens, Florida and is situated on an acre of land. It features approximately 5,293 square feet of living space with 5 bedrooms, 5 full and 1 half bathrooms, great room with wet bar, dining room, gourmet kitchen with double islands, garage and more. Outdoor features include covered/uncovered patios, kitchen/BBQ, swimming pool with spa and a dock. It is listed at $4,995,000.